Rob Fletcher speaks to Mimaki about the TS55-1800, a breakthrough digital textile printer that will surely cause a stir in the market. Mimaki has expanded its portfolio of digital print solutions with the launch of the new TS55-1800, a machine designed to address growing demand for work in the printed textiles market. The digital heat transfer sublimation printer pledges to bring “high-end features” to entry-level and mid-level markets. Key features include one-pass printing at a high-resolution and ink-density, unattended printing with the new Mini Jumbo Roll, and Mimaki’s Nozzle Check and Recovery System for continuous operation. Mimaki said the TS55-1800 can print at speeds of up to 140sq m/hr and at a resolution of 480 x 600dpi. In addition, the manufacturer said that the Mimaki Advanced Pass Systems will boost the quality of two-pass prints by eliminating banding. Speaking to FESPA.com about the new printer, Bert Benckhuysen, senior product manager at Mimaki, said the main reasons behind developing the product were to deliver a solution that is of “higher quality, more productive, and more price-competitive” that offers users “higher profitability”. “We believe the TS55-1800 ticks all these boxes; it’s a robust, productive dye sublimation printer that produces high quality results and offers our customers an increased price-performance ratio,” Benckhuysen said. “With the new (r)evolutionary Mimaki TS55-1800, we are also bringing features that are normally only found in high-end textile printers to the entry and mid-level market. “For example, we’ve added high-speed one-pass and two-pass printing at a high resolution and with high ink density. This means that while our competition has to reduce speed to maintain strong colours, we can deliver with one-pass at 140sq m/hr. 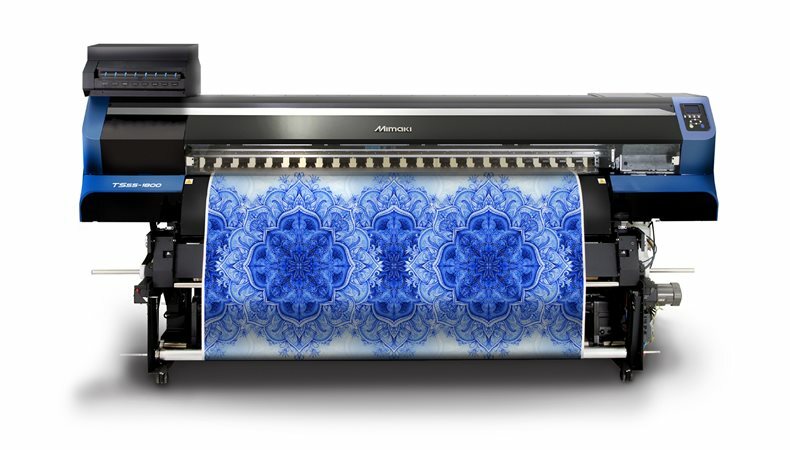 In terms of the type of companies that should look to invest in the new machine, Benckhuysen said Mimaki designed the product with all customers in mind and suggested that the TS55-1800 would fit into all types of textile print business. The machine launches this month.